Sticko Classic Stickers - STICKO-Classic Stickers. Sticko flat stickers are available in a variety of designs and themes to fit any and every occasion. 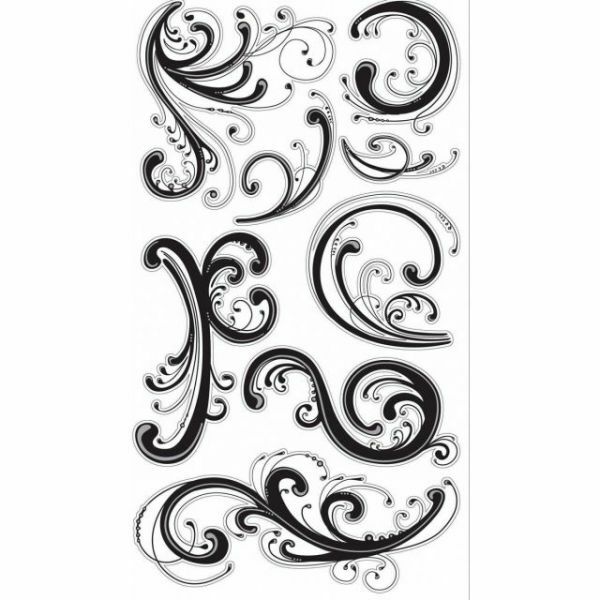 They are ideal for embellishing cards, scrapbook pages, craft projects, and so much more. 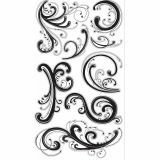 This package contains Dainty Black Flourishes: eight stickers on a 4x7 inch sheet. Imported.